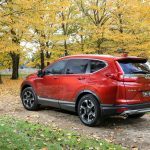 Honda is going for a serious attack on the medium SUV segment with the all-new, 2018 Honda CR-V. It’s filled with everything that Honda does best, including build quality, meticulous Japanese efficiency, and some very clever in-car practicality philosophies. If there’s one area where the CR-V can trump all of the rivals it’s with cabin space and comfort. The seat cushions are very soft yet supportive in the bends, and the amount of room here is grand. 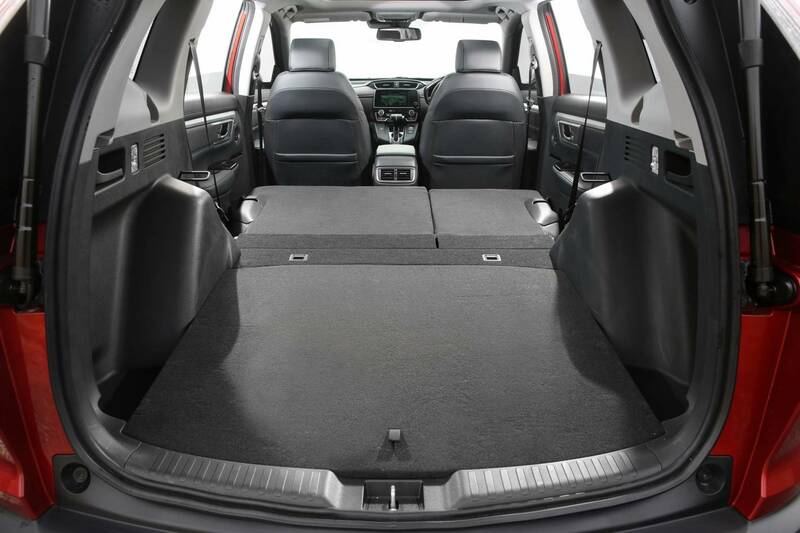 Check out all of the storage options in the front centre console area with its dual-level box, with cup holders front and rear, bottle holders in the doors, and a 522-litre boot. And Honda has managed all of this with some properly big seats. 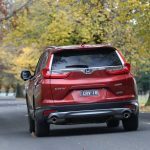 Unlike the segment favourite Mazda CX-5, which comes with pretty small seat frames, the CR-V is going to be accommodating to a wide range of individuals and their body types. Rear seat legroom is particularly noteworthy. 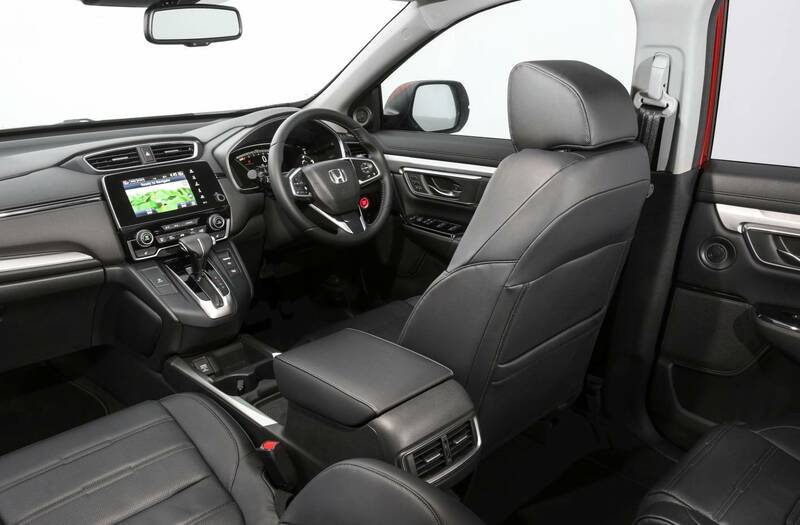 While the sheer cabin space and practicality gets a big tick of approval from us, the driving position is a little off in our opinion. It’s not a huge deal but it can take a little longer than usual to find a really comfortable and natural position. This is obviously only a potential issue for the driver. 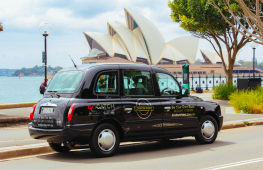 The rest of the passengers enjoy loads of legroom and headroom, and the rear bench even reclines for royal-like cruising comfort. 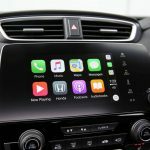 Honda’s latest touch-screen system is better than average, although just falling short on Mazda’s flawless MZD Connect system with its remote control pad. 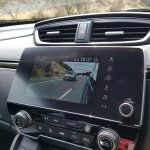 In the Honda you do have to reach up and touch the screen (so old-fashioned, right) but for the CR-V Honda has obviously listened to its customers because unlike the Civic the CR-V gets a separate volume control knob. This replaces the frustrating plus/minus buttons embedded within the screen. 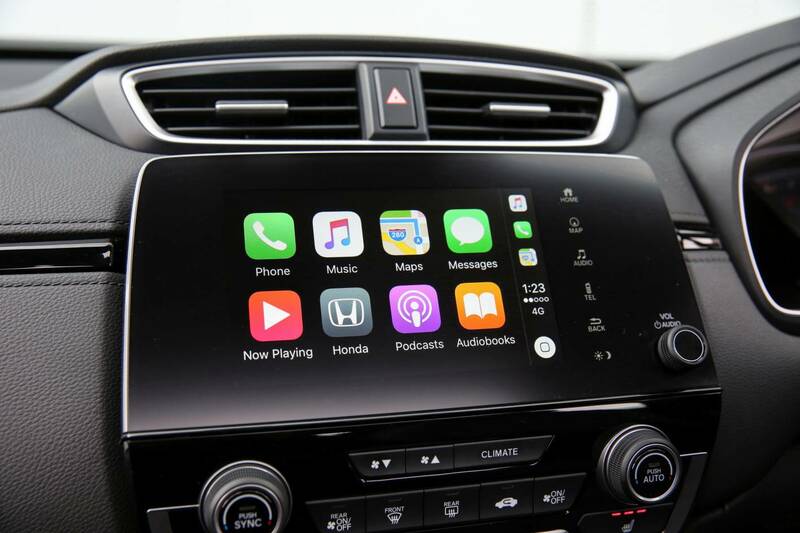 In the VTi-LX the screen is packed with Android Auto and Apple CarPlay, digital radio, and offers HDMI and USB connectivity. 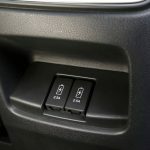 Actually, we do need to mention the connectivity because there are two USB ports in the back so passengers can keep their devices charged, and then another two in the front and two 12V power sockets in the front. 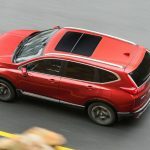 No other SUV in this class offers this level of… connectedness (as far as we know). If the new Civic goes a step too far in terms of making a statement through design, we think the CR-V is tastefully restrained. 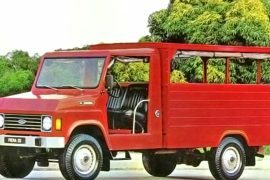 It’s not too out there but it is unique and gives the Honda a point of difference in the common vehicle class. 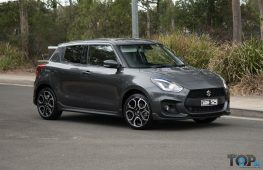 We like the muscular wheel arches and haunch-like rear guards, and the way the taillights look pinched like a chubby kid’s eyes. The front end is perhaps the most conservative part. 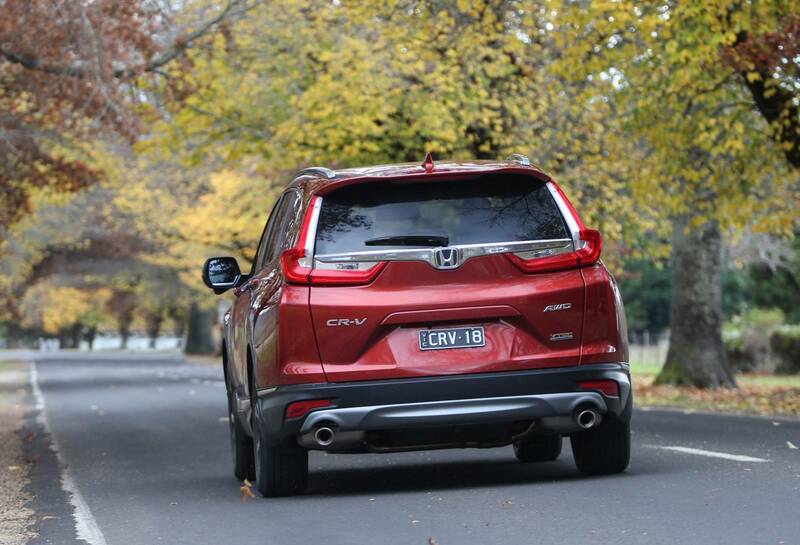 Logically though, the CR-V measures just a smidge under 4600mm long, 1855mm wide, and stands 1689mm tall. This makes it 50mm longer, 15mm wider, and 14mm taller than the CX-5, for example. So you are getting one of the largest SUVs in this specific class. 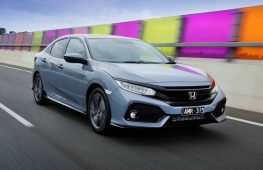 All variants in the new range are powered by Honda’s efficient new 1.5-litre turbocharged petrol four-cylinder engine. Yep, it’s the same one we saw in the Civic RS. Honda is fairly new to the turbocharging game (excluding its motorsport endeavours), but you wouldn’t know it. This engine feels, sounds, and behaves exactly like a naturally aspirated unit. 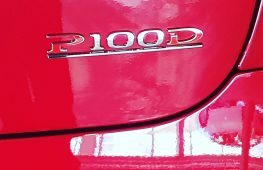 Peak power of 140kW (up 13kW on the Civic) comes in at 5600rpm, and peak torque of 240Nm is available from a very wide 2000-5000rpm. This is a very versatile engine, which means there’s always grunt there to pull you and your family through any situation. Just because it’s ‘turbo’ doesn’t mean you’ll immediately lose your licence either. 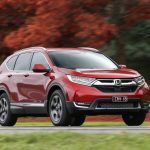 Acceleration is completely manageable and about average in the class, if you compare the CR-V to the 2.5-litre non-turbo competitors. 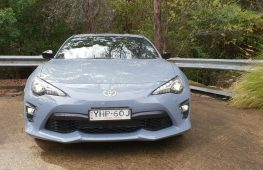 We’ve put together a quick video for you below showing the 0-100km/h to give you an idea of its performance. Connected up to that engine is a CVT transmission. This relatively new technology doesn’t have conventional gears that it steps through. 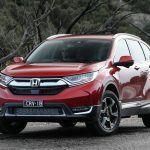 It can take some getting used to but Honda has done a lot of research and development with the unit against conventional automatics and found the CVT to come out on top in terms of performance and economy. In the real world, it is kinda boring. The engine revs just stay constant, despite half-decent acceleration. One objective downfall to this transmission type is its inability to provide engine braking down hills. It won’t change down a gear on demand like a regular gearbox, which means you’re left riding the brake. 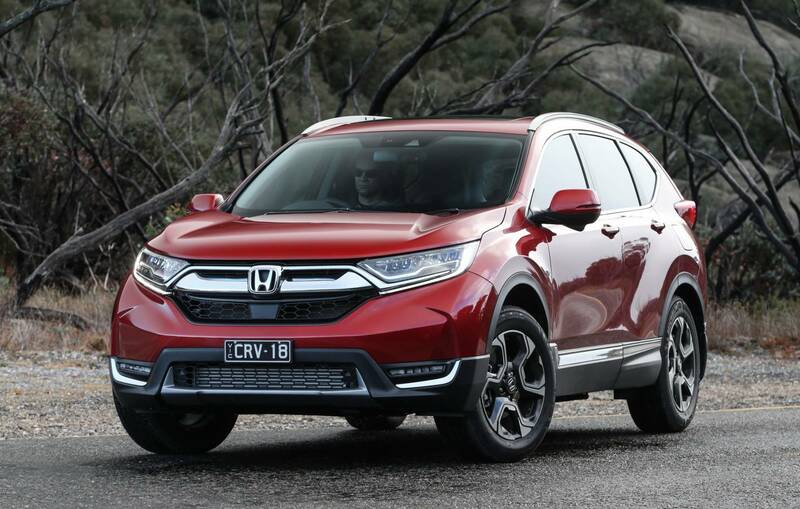 Honda takes pride in its handling expertise and you can see some of the pedigree coming through in the new CR-V. Okay, so it’s not a sports car but it does handle twists and turns with utter composure and confidence. 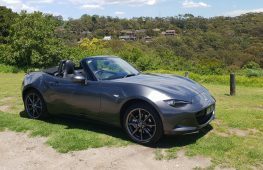 You can feel the chassis and MacPherson strut front and multi-link rear suspension working on your side to keep the body balanced and straight. Honda has used an electric steering system which does detract some tactility. It’s not the most engaging SUV in this class. 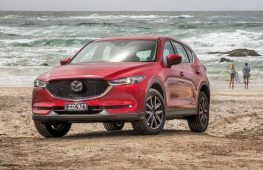 That would have to go to the popular Mazda CX-5. However, the actual body control, grip, and handling confidence is as good as it gets. Comfort. Comfort. And more comfort. The new CR-V is all about supple ride and quietness. This has to be one of the smoothest rides in this class. 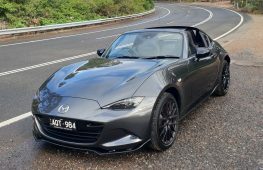 The suspension absorbs road imperfections beautifully, with no crashing sent ricocheting through the cabin. Helping this are a set of Michelin Primecy 3 235/60 tyres, which are rather tall and surprisingly wide for a medium SUV. 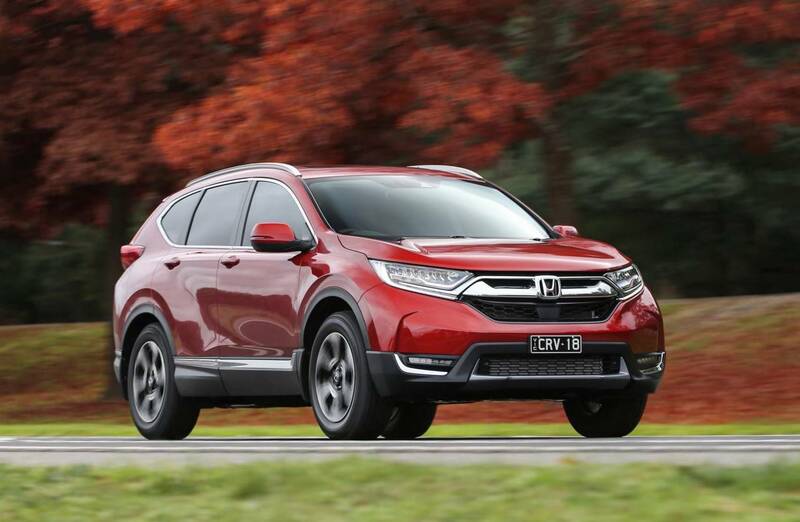 We would go as far as saying the new CR-V offers the most comfortable ride of all SUVs in this class. 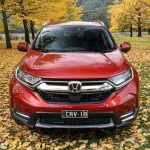 On the official combined cycle the CR-V consumes 7.4L/100km in four-wheel drive form, or 7.0L/100km in front-wheel drive form. These don’t seem that extraordinarily low. 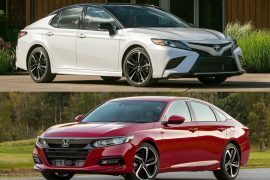 But, in traditional Honda form, you can actually get quite close to these figures in the real world, unlike most rivals that blow right out once you hit the road. During our test we saw as low as 6.7/100km in a majority of highway use, and only up to 7.2L/100km during squirts in the city. Over extended use we wouldn’t expect the average to go any higher than 7.5 under regular, family use in the suburbs. Honda offers a five-year/unlimited kilometre warranty with the CR-V, which is one of the highest in the class, aside from Kia’s industry-leading seven-year warranty package. 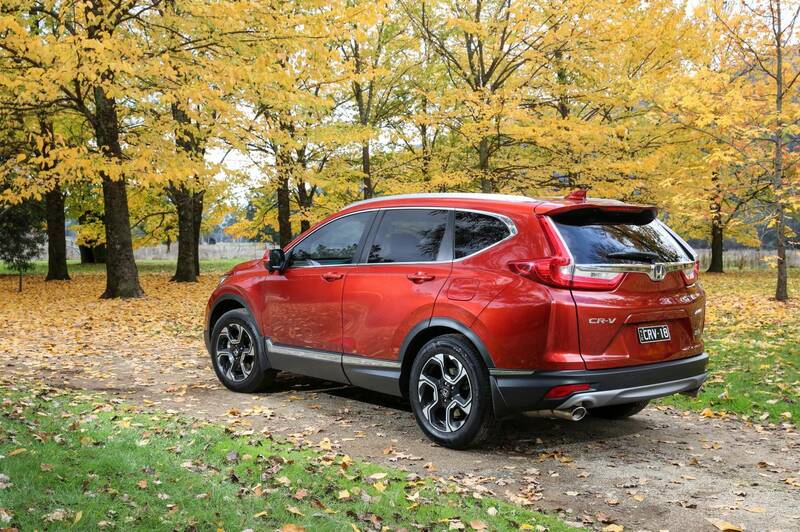 Honda’s capped-price servicing spreads across 10,000km intervals, capped at $295 each up until 100,000km. This is one of the most affordable and definitely the easiest-to-digest capped-price servicing schedules we’ve seen in this class. 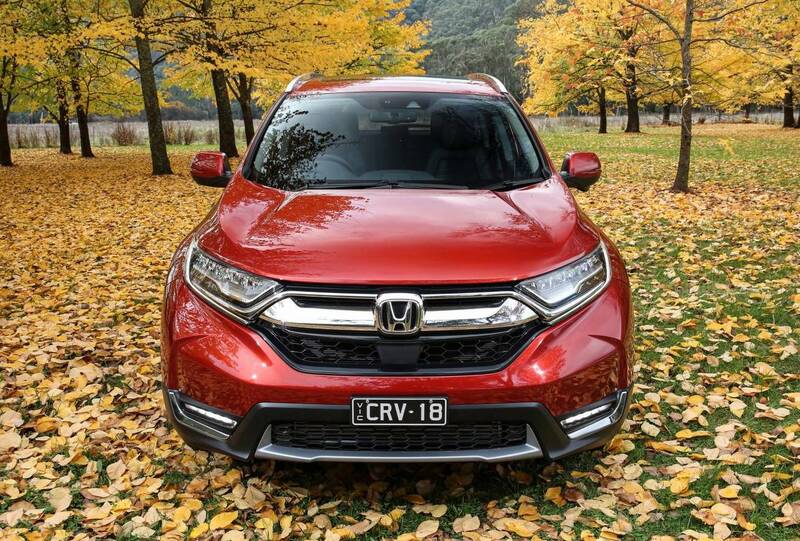 In top VTi-LX form the CR-V comes with all of the bells and whistles you could possibly expect from this class, and some. You get the full driving safety suite that’s optional on lesser variants, packing in fully adaptive cruise control with a very advanced steering assist system (you can drive hands-free for short periods, although not advised), automatic high-beam LED headlights with active corner lighting, autonomous emergency braking, trailer sway control, and even road departure mitigation. 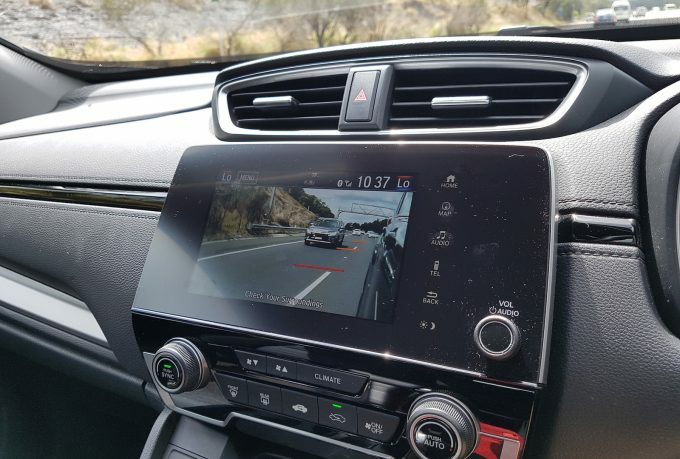 But the best of all is Honda’s LaneWatch system (pictured above). This is basically a display from a camera mounted under the passenger-side mirror. Every time you strike the left indicator the display automatically shows a view of your blind-spot. 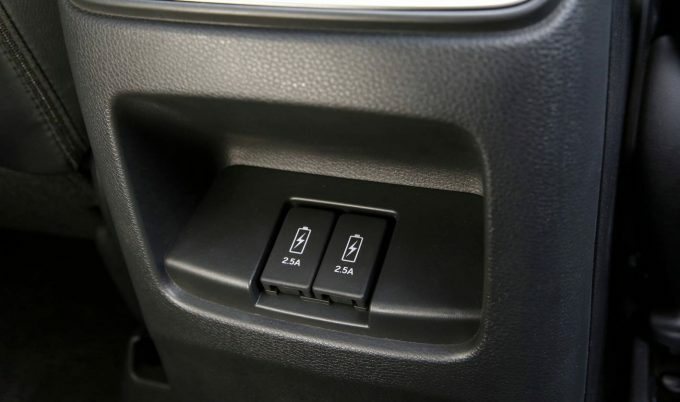 This is an innovative feature that we think all cars should come with. 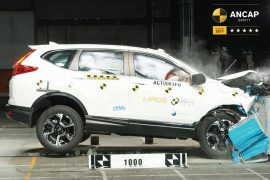 ANCAP is yet to test the new model but it has given the previous CR-V five stars for safety, which is expected to carry across for the 2018 model. 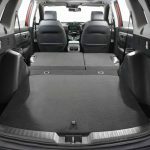 Going for the base model VTi gets you almost all of the goodies presented in the top VTi-LX, aside from leather and the advanced safety tech. And it’s priced from just $30,690. It’s a bargain. 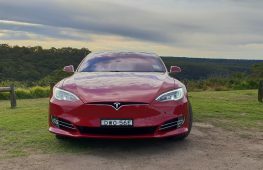 Even in this top-spec VTi-LX form, priced from $44,290, you are walking away with some high-end features that you normally only see in the premium brands. 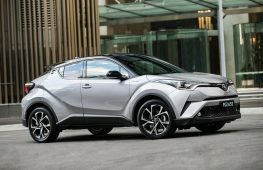 When it comes to value for money, considering the pedigree and build quality from the storied Japanese manufacturer, you soon realise the value for money represented is very good. 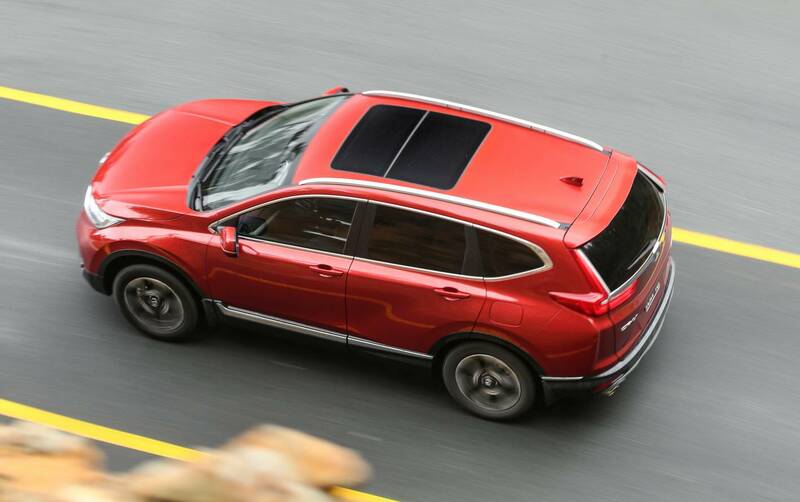 Quality engineering that you can see, innovation, efficiency, and genuine practicality are areas that should draw you in to the 2018 Honda CR-V. Cabin space, ride comfort, and in-car connectivity are also traits that will send the competitors into a meltdown. 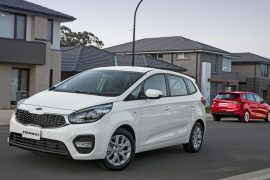 We’d recommend you go for the VTi-L 7-seater 2WD (from $38,990), or if 4WD is a must the VTi-S 4WD (from $35,490), as these seem to do a nicer job of finding that sweet spot between useable luxuries and needed features, with an attractive price tag. As some final notes, all models except the base VTi come with the clever LaneWatch system, and all come with the same touch-screen interface with a plethora of connectivity ports and Android and Apple compatibility. Digital radio is only offered on the top VTi-LX.